If you’re marketing a business today, incorporating video in your strategy is no longer optional. In the last few years, video marketing has gone from “the next big thing” to one of the most tried-and-true tactics around. But that’s not to say you should be cranking out videos for videos’ sake. That approach is both unlikely to convince senior executives to sign off on your plan, it’s also not going to drive the results you want. 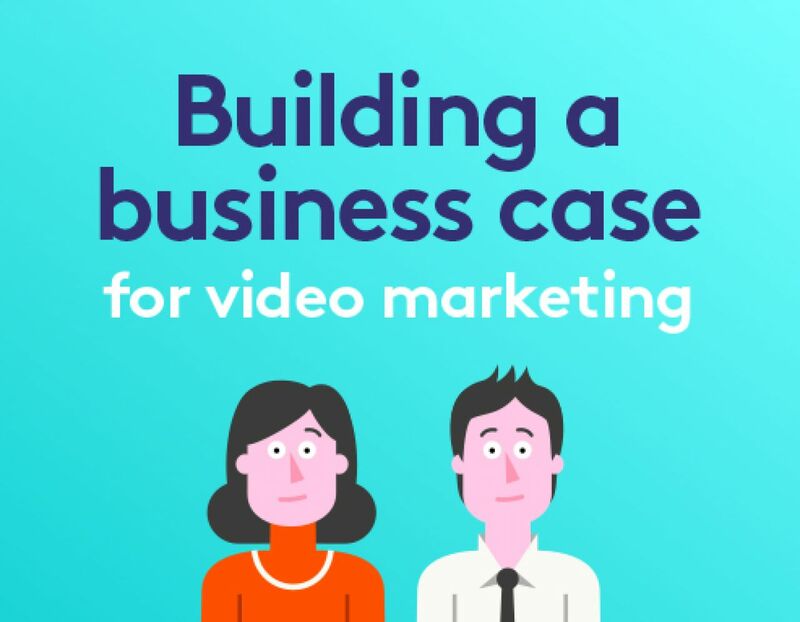 In this guide, we’ll walk you through 7 key steps to build a business case for video marketing that will get you the buy-in and budget you need from the c-suite. When we say video is the future of content marketing, we’re not being hyperbolic. Numerous statistics show that people prefer video, and that video drives better results over other content formats. For instance, 55% of people pay close attention when consuming videos — more than all other types of content. And, perhaps as a result, we also retain 95% of a message when we watch it in a video, compared to 10% when reading it. When it comes to shopping, 4 times as many consumers would prefer to watch a video about a product rather than read about it, and nearly 50% look for videos to learn about a product or service before visiting a store. OK, so you may be convinced about the power of video marketing, but compelling as they are, you’ll need more than stats to convince senior executives to sign off on your video marketing plan. Let’s dive in to the steps to make your case. Your video marketing efforts don’t exist in a vacuum — and your goals for it shouldn’t either. Defining success based on vague vanity metrics like “get a lot of views” is not particularly useful to anyone. Instead, your goals should be closely aligned with the broader, already defined and agreed-upon business goals and KPIs. So, if the business as a whole has a goal of boosting sales by 10% in the next 6 months, you might be looking at KPIs like site traffic, number of daily, weekly, and monthly sales, and conversion rates. To make your case, you’ll want to outline your plan for how video is going to help you reach those KPIs. And that brings us to step 2. Building on our previous example, if your goal is to drive more sales, you might propose product videos, explainer videos, or customer testimonials, and case studies. You’d then create some SMART goals (Specific, Measurable, Achievable, Relevant, Time-bound) for those that support your business’ overall KPIs. Detail which metrics you’ll track to measure success — in this example, that might include things like traffic driven, clickthrough rate, and, of course, conversions. That’s not to say all your analysis has to focus on quantitative metrics only (e.g. to drive x number of conversions). Video is great for qualitative metrics as well, like generating awareness for your brand or buzz around a new product, but you’ll still want to get specific about what that means and what analytics you’ll track to confirm you’re hitting your targets. To help make your case, provide specific monetary figures and be sure to emphasize the expected ROI for your efforts. “How much is this going to cost?” is no doubt top of mind for any executive, which is why it’s a good idea to focus on ROI and be prepared with expected budget requirements. 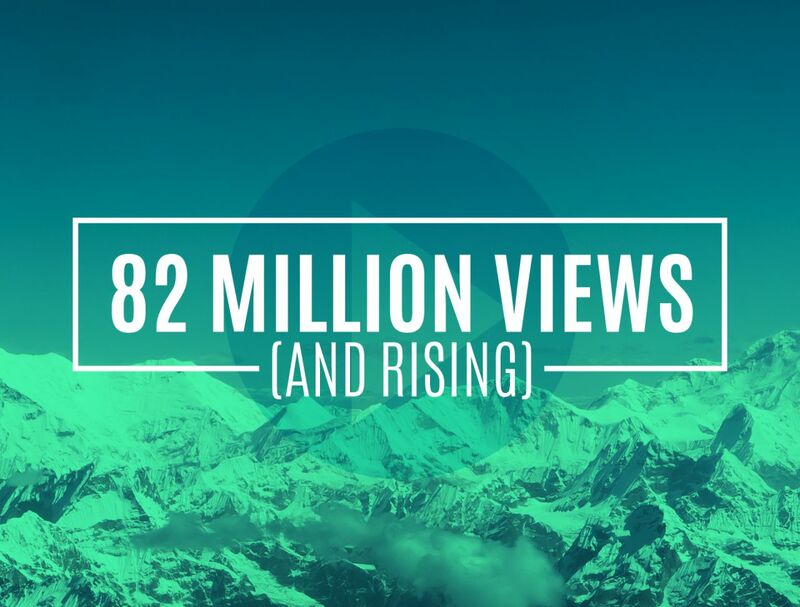 In terms of scope, if you’re serious about diving into video marketing, we’re not talking about just a one-and-done effort. 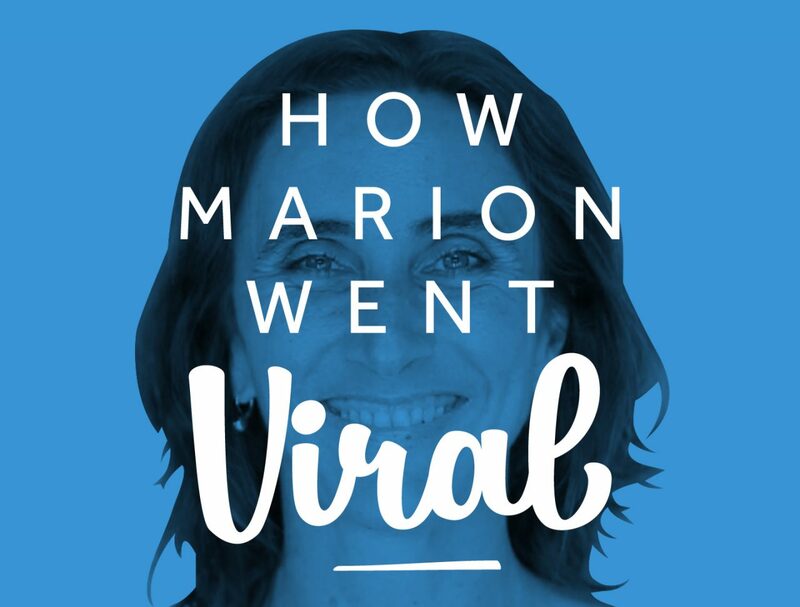 While we’d all like to create a smash hit viral video, the reality is that video requires commitment and long-term investment. You wouldn’t write one blog post and expect it to utterly transform your business, and you shouldn’t expect that from a video. However, that doesn’t mean you have to spend a fortune for an effective video marketing strategy. Your budget will largely depend on how you’ll produce your videos, for example: outsourced, in-house, or DIY. Video costs can vary widely, from inexpensive (or even free!) if you use a video maker like Biteable, to tens or hundreds of thousands of dollars if you’re outsourcing production to a professional. If you’re not sure what budget is available, it’s a good idea to outline a few different tiers of investment. Content Marketing Institute also offers some good tips for planning a video budget, depending on whether you’re looking at a higher or lower production value. Shifting gears from cold, hard, cash, let’s not forget the intangible benefits of video. According to one study, video enjoyment was found to increase brand association by 139% and purchase intent by 97%. According to one study, video enjoyment was found to increase brand association by 139% and purchase intent by 97%. Another study found that 71% of viewers say watching video content left them with a positive impression of the brand, service or company. In addition to helping people remember your brand and feel positively about it, videos can help foster a more personal connection with viewers. Seeing someone on screen, for instance, helps build a sense of relationship with viewers. That connection makes a brand appear more authentic and relatable, which helps to build feelings of trust and loyalty in customers and prospects. Companies that used video saw a 20% increase in conversion rates. 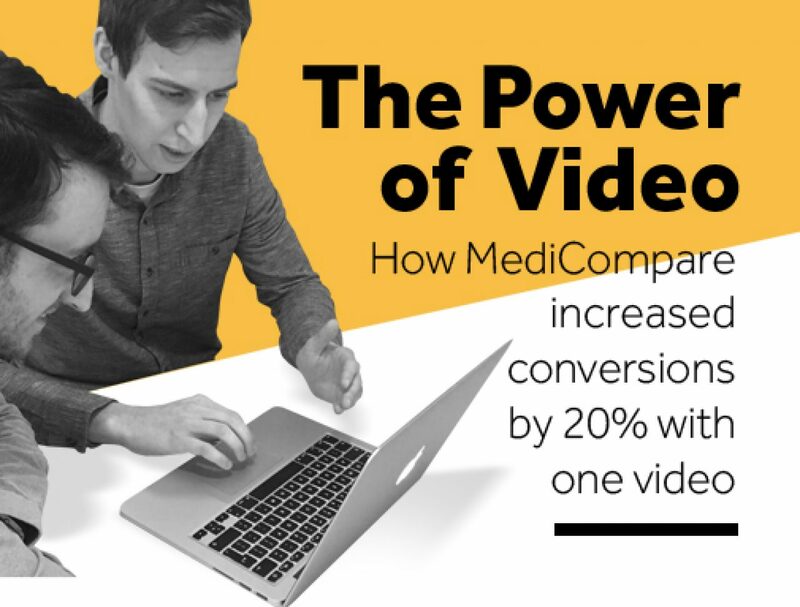 MediCompare, a health insurance broker, made a video that increased their conversion rate by 20% and drove a 17% increase in policies being taken out. Here’s why they did it, how they did it, and what it has meant for their business since then. Probably the latter, right? 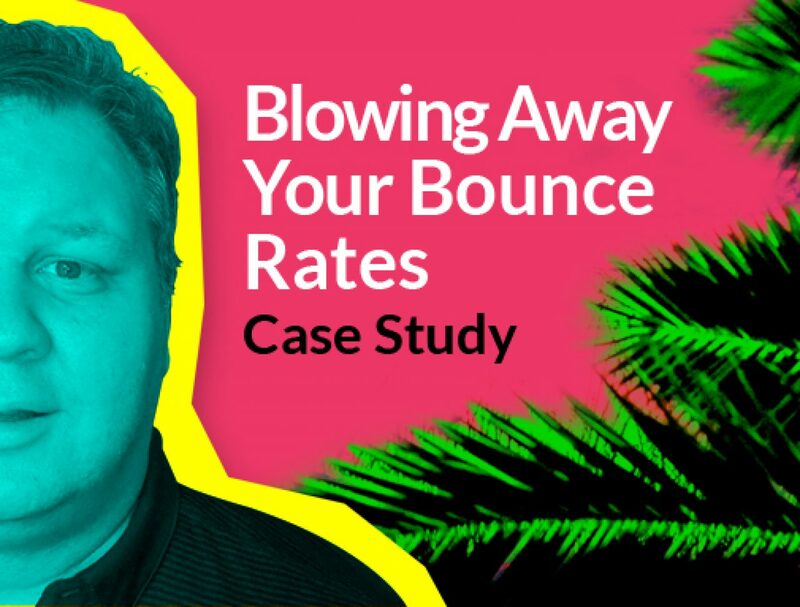 While broad statistics have their place, case studies like this that detail how specific companies found success are much more powerful when it comes to making a business case for video marketing. If you can, try to find success stories from companies that are a comparable size, or share a similar audience or industry as your business to help illustrate your proposal. Here are a few case studies we’ve done to prove that videos work. A great way to get buy-in on a new strategy is to test the waters with a trial run. Demonstrating success, even on a smaller scale, can be enough to convince higher-ups to make a bigger investment in video marketing. For instance, produce your first couple of videos using cheap and easy tools like Biteable to reduce resource requirements. If you can show that those videos moved the needle in terms of your goals, you may be more likely to get the approval and budget you want to go all-in on video! Finally, wrap it all up by outlining your plan of action. Include details like which team members will do what, estimated timeline, and how you’ll promote or distribute your videos. Include the requirements we discussed above, like expected budget, what kind of videos you’ll make, and how you’ll measure success. Check out this useful resource from Demand Metric for more on creating a video plan playbook. By making a strong case that highlights the benefits of video for your business, while addressing questions and concerns your senior executives might have, you’ll be in good shape to get the go-ahead you need to incorporate video into your marketing strategy.